Lobster and wild venison are among the most prized wild foods in the world, and the best lobster and wild venison in the world probably come from Fiordland. They are prized, and shipped, all over the globe. Why? These incredible prestige foods are bred in one of the most pristine places on earth. 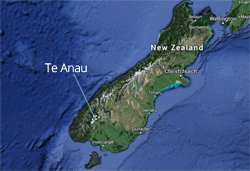 Te Anau and Manapouri are also well known for their tasty trout and eel. Fiordland lobsters grow in pristine deep waters around the south west coast of our World Heritage status National Park. Commonly known in New Zealand as "crayfish" the breed of lobsters exported from Fiordland is rock lobsters (Jasus edwardsii). It is a species of bright purple and red spiny lobster; a cold water fish that inhabits reefs in water ranging from one metre to 200 metres deep. 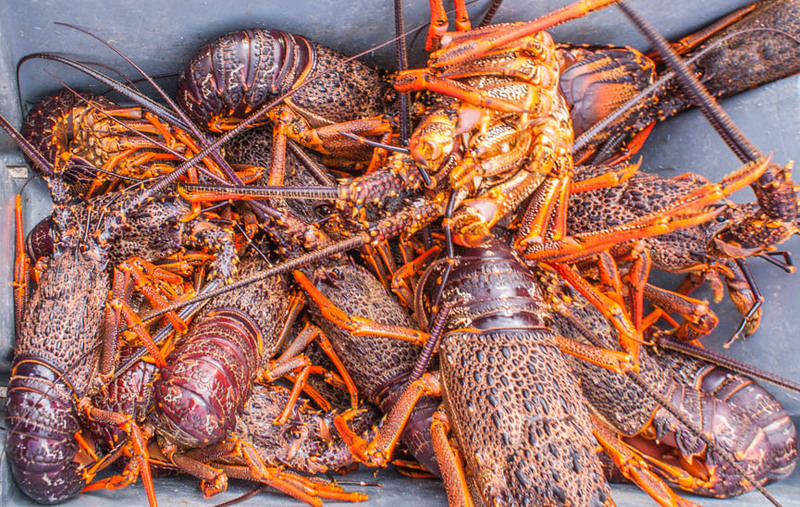 The Fiordland Lobster Company, the largest exporter of rock lobster in New Zealand, is based right here in Te Anau and has an unrivalled reputation for quality. The company is committed to providing a superior product to discerning markets, in particular China. Fishermen fish for Fiordland rock lobster in areas such as Milford Sound. Depots are located strategically throughout the Fiordland Lobster Company's operation area for fishing boats to land their catch, where fish are placed in water tanks awaiting pick-up. In the Fiordland area, helicopters are then used to fly the live lobster from the depots to Te Anau. Here fish are weighed and graded then swum in tanks to regenerate them for 24-48 hours before being packed for export from Christchurch and Auckland international airports. The Fiordland Lobster Company is involved in conservation projects to sustain the population of lobsters and protect the remote marine environment in which they breed. Projects include the Fiordland Marine Area and the Fiordland Marine Guardians. The rivers of Fiordland are well stocked with extremely tasty and large brown and rainbow trout; an angler's delight. And there are more than 40 rivers and streams within a 90 minute drive of Te Anau. Trout are a non-native species (first introduced here in the 1870's) but to maintain stock levels, there are limits on the numbers you an catch and you must have a fishing licence. To help introduce children to trout fishing, you can visit the Rotary Club-funded under-water trout observatory opposite the Department of Conservation visitor centre just south of the town centre near the lake front of Te Anau. The eels in our lakes and rivers are native and can be pretty big as well as also being tasty too.